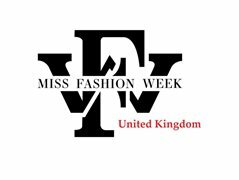 Welcome to Miss Fashion Week UK! Females Junior 8-12, Teen 13-17, Adult 18-40 Petite, runway and curvy and Mrs 18yrs plus married. Miss Fashion Week is the first organization that bridges modeling with pageantry. * We truly embrace diversity. We are the first in human history ever that takes petite, curvy, runway, adult, teen and junior and international models. Walk the runway with us. Join our state events to win a place at Nationals! Overall National winners will win one of 3 trips to the USA. The handbook with loads of details on what MFW is about and what you need to do to start your journey with Miss Fashion Week!